So much for me saving my vacation time by working last Sunday so I can have today off! I ended up being sick for the last 2 days, so there goes my vacation time. Damn! I'm a tattoo lover, in fact, I'll be getting a new tattoo tonight, but, really?! What was rapper Gucci Mane thinking when he got this?! Yes, that's an ice cream cone, on his face!! Are you a planner? Hubby is a major planner. He likes everything perfectly 0planned out and because he wants to make sure I know the plan, he'll tell me the plan over and over again. The thing is, I'm not a planner of all, so usually his plans don't work out because no matter how many times he told me the plan, I'm usually late, or lose track of time, or decide we need to take a "minute" to do something else. This weekend, we're going to St. Augustine and he has it perfectly planned: We'll leave at 5:00am, go here for breakfast, go there for lunch, have gelato at this place, and so on.... I'll let you know how well the plan works out. Today is the last exam of the first semester for my girls, that means next week will be the last semester of High School for #1 Yikes! Where did the time go?! I really thought I'd be able to do so much more for/with her before she finished school. Time does go by fast doesn't it? 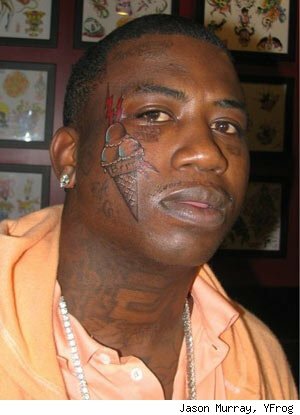 Of all the things he could have put on his face, why an ice cream cone???? I am def the planner at our house. My husband calls himself the trip master but really he has no clue what so ever!